Long time, no see darlings! You who have followed me for some time know that sometimes I just disappear from the blog without warning, usually because my health is giving me trouble or because I just have a lot to do! You who haven't...you'll get used to it :) My promise to you is that I always return! I come back to you with a little photo album project I plan on jumping on! I believe most have heard about Project Life? 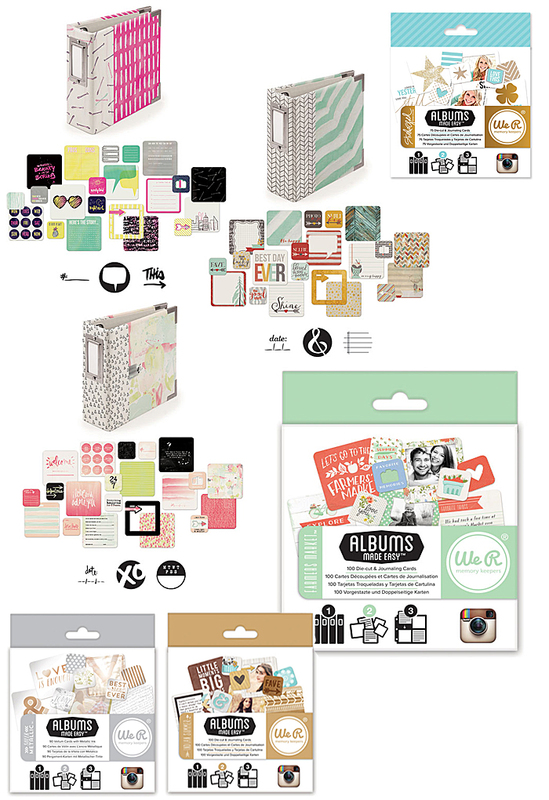 At least for us who are on the crafty side :) Been trying to find something that falls more in my taste and stumbled upon We R Memory Keepers Instagram products. They are the cutest little albums and I just adore it. I always choose a bunch of Instagram prints when ordering already! Do you guys do something like this? Or want to?